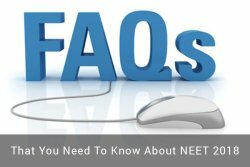 New FAQs on NEET have been released by the Central Board of Secondary Education (CBSE), and can be checked by candidates on this page. 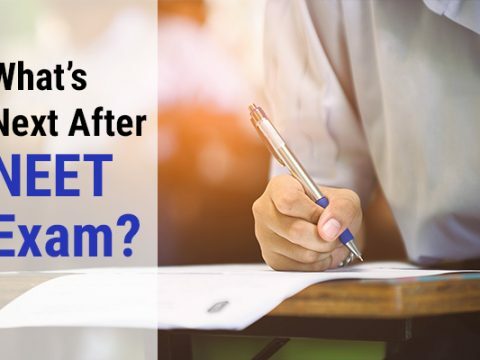 As per the CBSE, the new NEET FAQs are “based on the calls, emails and grievances received from the aspiring candidates of NEET (UG), 2018 and are in addition to some of the FAQs already provided by the CBSE previously on its official website. As per the FAQs, candidates will now be able to make changes to category, parents’ names, qualifying exam code and examination city in the application form through the NEET correction window opening on March 12. The new FAQs on NEET 2018 mainly clear the doubts candidates have with regard to the NEET application form submission but very little on eligibility concerns. Some of the questions on this page attempt to answer the basic eligibility doubts aspirants may have with regard to their NEET 2018 eligibility. Q1) when will NEET 2018 Examination be held? Ans : The Examination will be organized on 6th May 2018. Q2 ) What’s the minimum age limit to apply? Ans: The minimum age limit is 17 years as on or before 31st December of the year of admission. Q3) How much marks should I score in the qualifying examination to apply? Ans: You have to score minimum 50% marks for general, 45% for general PH and 40% marks for SC/ST & OBC in PCB Grouping. Q4) Can NIOS Student apply for the exam? Ans: No, Open school & private candidates can not apply for the exam. Q5) What will be the syllabus for NEET? Ans: NEET Syllabus is comprised of Physics, Chemistry, and Biology subjects you can check the syllabus from the syllabus section given. Q6) Is there any seat in MBBS/BDS by which admission will be taken without appearing NEET UG? Ans: No admissions in MBBS/BDS seats will be given without appearing NEET-UG 2018. Q7) If mistakenly during filling up the form, wrong particulars are filled in the online form, how it will be corrected? Ans: Candidates are requested to read the information Bulletin carefully before submission of application. They should keep the entire information ready as per replica of NEET UG 2018. An opportunity after a week of last date will be given to the candidates for such corrections, no corrections will be allowed thereafter. All the information (especially in category) which is filled on the date of submission of form will be considered valid and no changes will be allowed later. Q8) What is the number of attempts for appearing in NEET UG? Q9) Is Aadhaar Card mandatory for NEET 2018? Ans: The Supreme Court has directed the CBSE not to make Aadhaar number mandatory for enrolment of students appearing in NEET 2018 and other all India exams. Unique Identification Authority of India (UIDAI) has stated that states like Jammu and Kashmir, Meghalaya and Assam would need to represent identity proofs like passport, voter card and ration card for enrolling in the examination. Q10) Will the examination will be offline or online? Ans: NEET –UG 2018 will be an offline pen and paper test. Q11) Who can appear in NEET-UG, 2018? Q12) Will there be negative marking in NEET-UG, 2018? Ans: Yes. Each correct answer will get 04 marks and for each incorrect response, 01 mark will be deducted from the total score. Q13) What is the duration/timings of NEET-UG 2018? Ans: The duration of NEET-UG 2018 will be 03 hours from 10.00 a.m. to 1.00 p.m. However, no entry will be allowed after 9.30 a.m.
Q14) Who will conduct Counseling after NEET-UG, 2018? Ans: 1) For 15% All India Quota seats, counseling will be conducted by the DGHS. 2) For seats under the control of States/Universities/Institutions, their respective authorities will conduct the counseling. Q15) When will the results of NEET – UG 2018 Declared? Ans: Expected date is 5th June 2018. 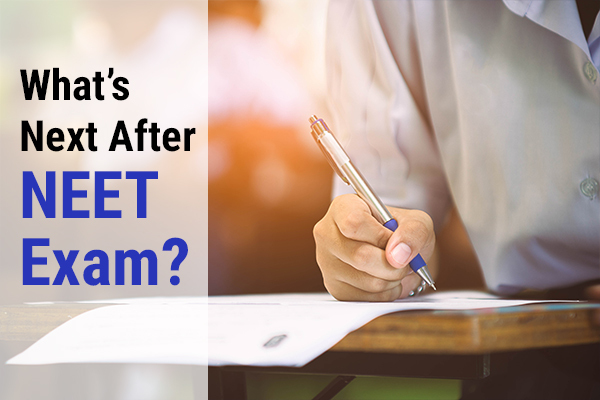 What’s Next After NEET Exam? NEET exam is the only gateway for admissions into medical & dental UG courses offered by various government and private medical colleges of the country. If you want to apply for the NEET 2019 examination, we provide you all the information under one roof. Get information to important details such as application procedure, registration, exam date, syllabus, important dates, cut off, Latest Notification & News, and Counselling. © 2018 AISPL. All Rights Reserved.